Following calls of on social media of #freetheNPPF last week, the revised NPPF 2018 was published, taking immediate effect and inflicting a flurry of re-writing of Planning Statements. The document has been tailored to boost the supply of housing further - seeking to do this through the introduction of a standardised calculation for housing need (from January 2019), which aims to cut debate (therefore time spent) on the issue and address affordability by focusing housing delivery in less affordable areas. In addition, there is new policy support for large-scale residential development, including new settlements following Garden City principles. Affordability of residential development has been attempted to be addressed through the upcoming standardised housing calculations, as well as the requirement that all viability assessments are now made public, as it is the Government’s view that transparency will help deliver the maximum amount of affordable housing. The NPPF also stipulates that a minimum of 10% affordable housing should be delivered on all major developments. Some exemptions apply, including Build-to-Rent homes, and specialist accommodation for students or the elderly. However, affordable home delivery could be hindered as the NPPF also encourages larger sites to be divided up to speed up delivery of homes, which in turn would see less affordable units delivered on each part of the site. Whilst the NPPF introduces new policies, key changes largely reactive to what is already happening. For instance, both Tandridge District Council and Surrey Heath Borough Council are considering new settlements and a number of authorities including Brighton & Hove City Council already require viability assessments to be public documents. Placing these policies into national policy supports those already applying the principles, and perhaps gives a direction to those who were left unsure. 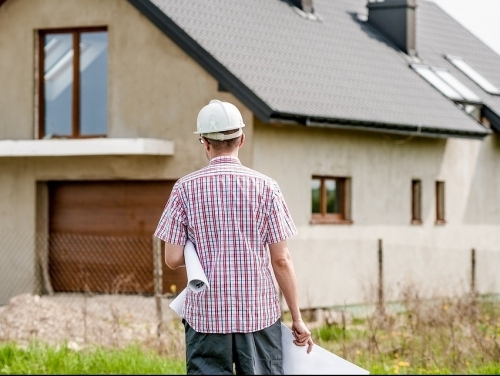 For the private sector, a key opportunity may come in 2020, which is the date at which if a Council is delivering less than 75% of its housing requirement sustainable development principles will apply over the Authorities’ residential planning policies. Authorities who are currently preparing plans can use the previous NPPF principles if their plan is submitted on or before the 24th January 2019, and existing policies should be updated “as quickly as possible”. No doubt there will be Authorities on the cusp of submitting plans around January 2019, who may begin to fall short of their five-year supply of housing should they either miss the deadline or begin a redraft of their plan now based on NPPF 2018.